The soap opera regarding the new coach position that has been providing restlessness among Ac Milan’s fans finally ends as the club have officially announced Massimiliano Allegri as their new boss starting from next season. This surely is the day that many Milanisti have been dying to hear, as for the past few weeks they have been hampered by lots of controversy regarding Allegri’s status due to the delays made by the coach’s previous boss, Massimo Cellino. With this official confirmation, Milan will can now began their hunt for new players as they already have someone that has the exact ideas of the players that he wanted for the squad that he’ll be coaching. 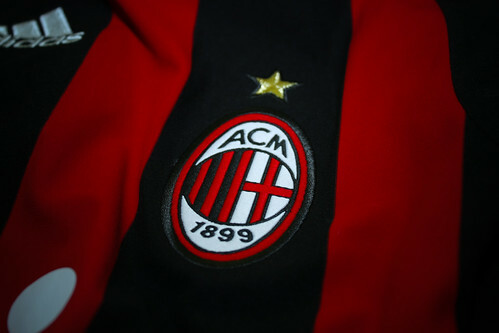 Milan fans will surely hope that the appointment of Allegri will surely start that new era for the Rossoneri, a start to bring trophies and glory for their squad that have been missing in the past few seasons. Acquiring Allegri’s service is not an easy task for Milan, as even though they have made an agreement with the Tuscany coach, there’s a problem regarding his contract with Cagliari that hasn’t been rescinded by the Sardinian club. The club’s president, Cellino, keeps on stalling and delaying the talk to end Allegri’s contract with the Isolani due to the president’s anger with the coach, who as alleged of making contacts with the Rossoneri before finishing his work at Sant’ Elia. Moreover, following Allegri’s move to Milan, the Rossoneri also renewed the ownership of their co-owned defender with Cagliari, Davide Astori, for at least another year. Meaning that the talented defender will be staying at the Isolani next season with the same co-owned status and should the Diavolo Rosso decides to get the young defender back, they would need to pay 3,5 million Euro for him. Other deals that set to be concluded along with the 45-years-old coach arrival at the San Siro, are regarding Cagliari’s midfielder Andrea Lazzari and Milan’s defender Elia Legati.